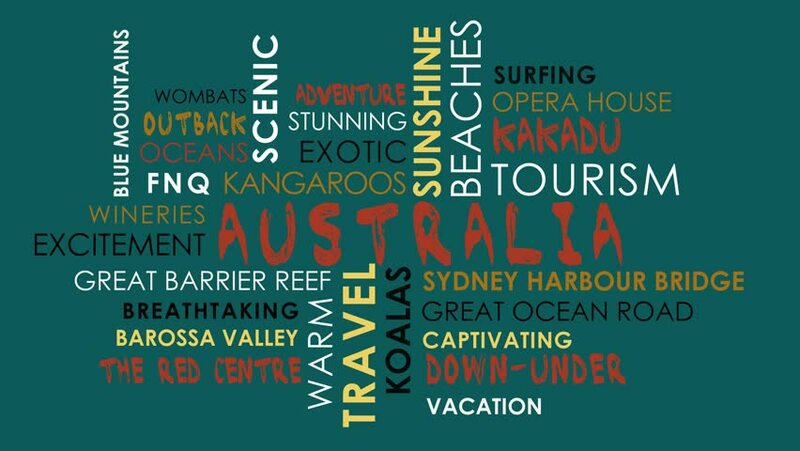 Australian tourism related words animated text word cloud, color text over teal background. sd00:51CIRCA 1944 A Santa Fe train travels along a track. 4k00:11Animation of tag cloud containing words related to social media, marketing, blogs, social networks and Internet. 4k00:10Harassment word cloud on a black background. 4k00:11Animation of word cloud related to job interview, employment and recruitment. 4k00:10Narcissistic Rage word cloud on a black background.